Compte rendu publié dans Acta fabula : "Comment se construit l’identité nationale ? La réponse de la littérature d’Ancien Régime" par Adeline Desbois. University of Delaware Press (Rowman & Littlefield Publishing Group), 2011. 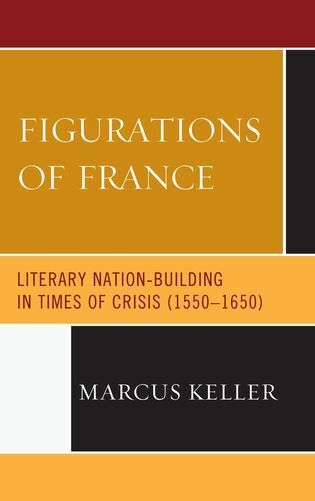 In Figurations of France, Marcus Keller explores the often indirect and subtle ways in which key texts of early modern French literature, from Joachim Du Bellay's Défense et illustration de la langue française to Corneille's Le Cid, contribute to the fiction of France as a nation. Through his fresh take on these and other classics, he shows that they not only create the French as an imaginary community but also provide venues for an incisive critique of this political and cultural construct that underpins the modern nation-state. Current theories of nationhood, in particular the concepts of the nation form and fictive ethnicity (Étienne Balibar), inform the close readings of Du Bellay's Défense, Ronsard's Discours and d'Aubigné's Tragiques, Montaigne's Essays, Malherbe's odes, and Corneille's Le Cid and Horace. They reveal the imaginary power and unifying force of early modern figurations of France that come to bear in this heterogeneous corpus of French literature, with texts ranging from manifesto and epic poem to essay and tragedy. Situating each author and text in their particular historical context, the study suggests that the literary invention of France in the sixteenth and seventeenth century is as abundant as it is conceptually innovative: Du Bellay, for example, develops an idea of France by portraying the French language as a pruned and grafted tree while d'Aubigné proposes to think of the French as nuclear but fatherless family. Blood functions as a highly charged metaphor of nationhood in all texts. Opening up new perspectives on these canonical works, the focus on literary nation-building also puts them into unexpected and thought-provoking relationships to each other. Figurations of France deliberately crosses the fictive boundary between the sixteenth and the seventeenth century and argues that, in terms of imaginary nation-building, the contours that delineate the early modern period and separate it from what we call the modern era quickly begin to dissolve. Ultimately, the book makes the case for early modern literature as a creative and critical discourse, able to nourish and nuance our thinking about the nation as the postmodern nation-state is increasingly called into question by the economical, political, and cultural effects of globalization. Marcus Keller is associate professor of French and comparative literature at the University of Illinois.